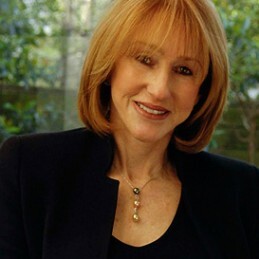 Marcia Griffin is an experienced business and marketing strategist, and Author and past CEO of Pola Cosmetics. Marcia is extremely experienced in sales training and sales motivation. Her business had the highest average sales per presentation of any in the direct selling industry at that time. Marcia Griffin’s best seller book ‘High Heeled Success’ proves once again that if motivated and open to the opportunities in front of them, women can do anything. Marcia believes women need to desire success and only then she argues can they make it in business. By 1995 Marcia became the first Telstra Business Woman of the Year and in 1997 she sold back her share of the POLA business to the parent company to take on other challenges. Her current board roles include; Australia’s largest printing and distribution company – PMP and National Pharmacies. She is also the Chair of TEC, an organisation committed to enhancing the lives and increasing the effectiveness of CEOs. In addition to her growing list of directorships, Marcia works as a business strategy and marketing consultant and has a passion for coaching and mentoring entrepreneurial women. The power of Marcia’s presentation comes from her first hand sales and sales training experience in dealing with a commission based sales team of nearly 5000 women across Australia and New Zealand. – Outcome-motivated people selling more!